I’ve seen Carina’s standup many times as well as been a fan of her podcast, “Thanks, Academy.” So glad this is out now. You’ll be laughing from beginning to end. Her ability to tackle what many consider to be sensitive issues is amazing and she’s invites you to laugh at them along with her. Highly recommend! 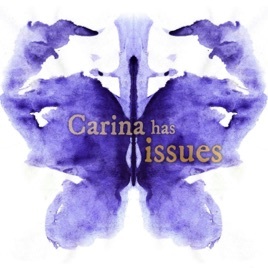 Carina is truly one of the funniest people and you need to listen to this album NOW!! This album shares some touching personal moments filtered through the prism of humor, as well as some more traditionally hilarious anecdotes. I think seeing “Transgender TSA” performed in person is the only time I’ve seen a standing ovation at a comedy show.